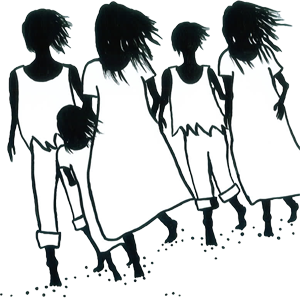 Tanyah Nasir Consulting Service is very much a collaboration of strong minded and spirited Aboriginal women who are committed and dedicated to creating social change and opportunities for all Indigenous Australians. has worked for several decades within the Aboriginal and Torres Strait Islander fields of alcohol rehabilitation and employment and training. Still today … she continues to contribute and work for the betterment of all Indigenous people. She is an active and passionate mother and grandmother – energetically involved in the wellbeing of her children and their families as well as a staunch supporter of her grandchildren and her great grandchildren. As the matriarch, she instills the cultural framework and protocols which forms the foundation for how we conduct business. She provides advice and guidance with regard to the business and the programs and services we offer. has had extensive experience over 3 decades in varied Indigenous sectors. Some of her background and knowledge includes juvenile diversion, community development, alcohol and substance misuse, family and domestic violence, education, arts, youth, health and employment and training. Joanne is a strong advocate for Stolen Generation’s history and Aboriginal history. Joanne has qualifications in Indigenous Community Health/Mental Health. Her knowledge contributes to and consolidates the learning within the customised training. Joanne is one of the senior trainers within the business. 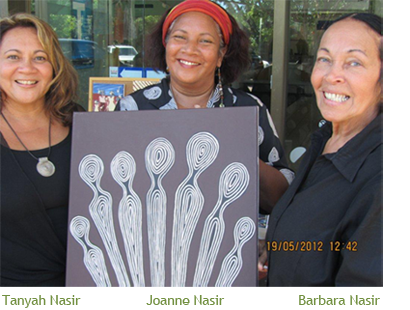 Joanne is also an accomplished Aboriginal artist and her works add another dimension to our services and training. Tanyah Nasir Consulting Service has a network of highly skilled, committed and dedicated Indigenous trainers who support our core business and the collective focus of empowering our people. Copyright 2012 Tanyah Nasir Consulting Services, All rights reserved.